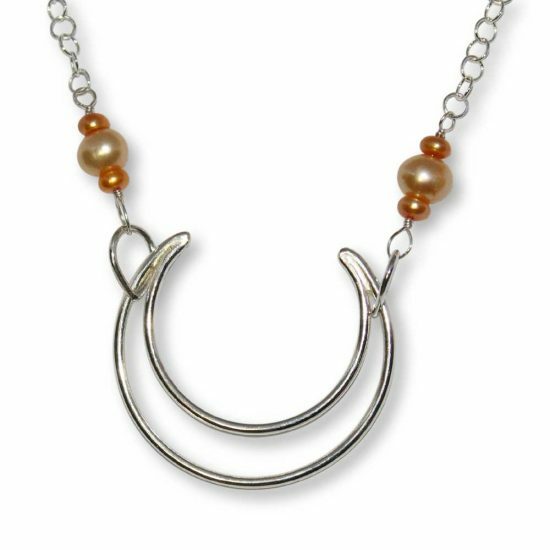 This hand-forged Argentium Silver Asymmetrical Necklace creates a shimmering halo around your neck. 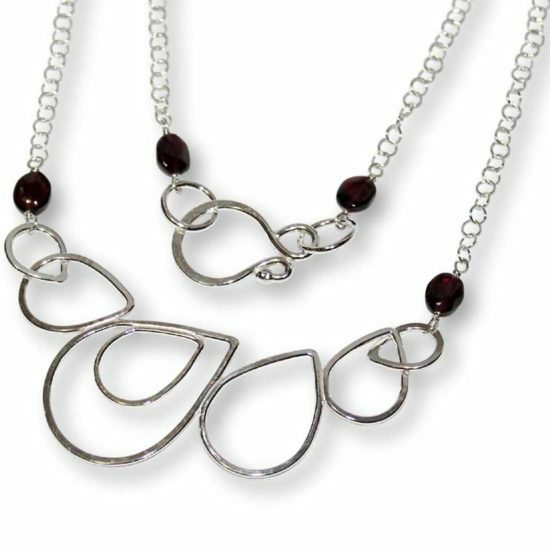 This necklace is the perfect accessory for your favourite little black dress and transitions effortlessly from a day at the office to a night out on the town. 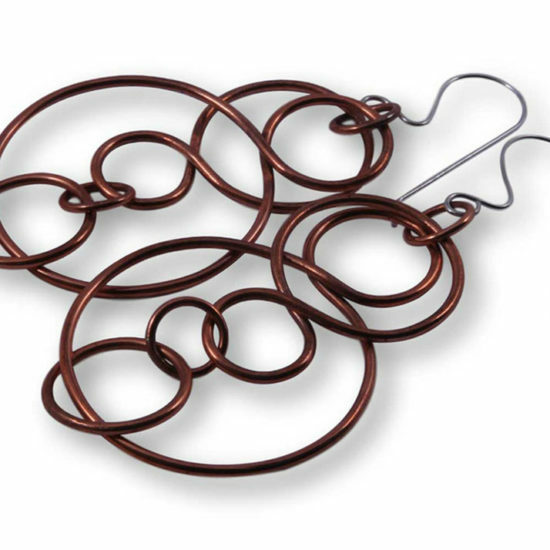 Two swirly S-clasps add instant versatility – remove one clasp to shorten the length instantly. 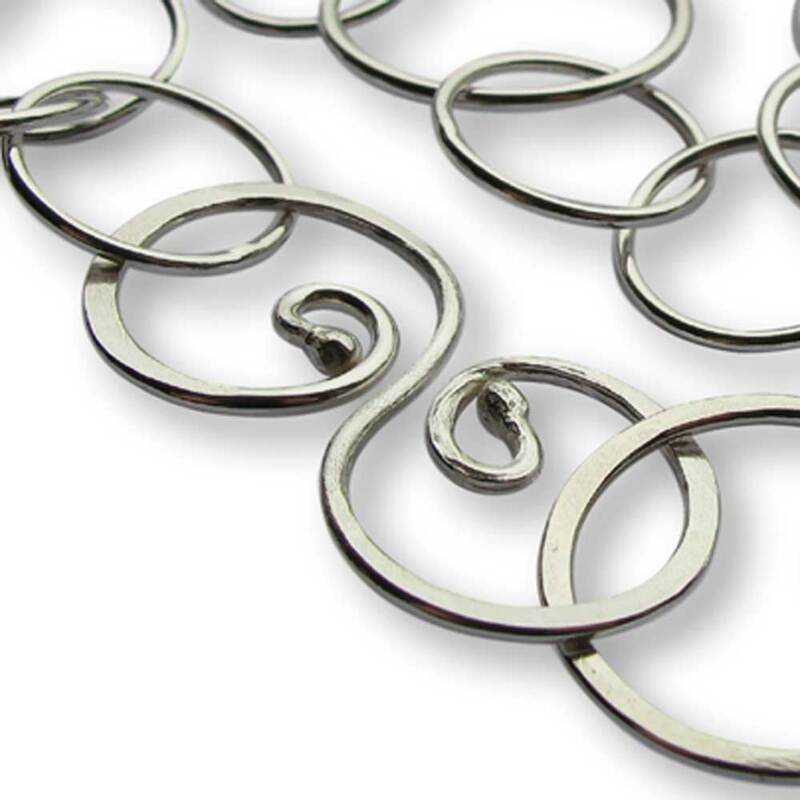 Shorten the length further by connecting the clasps further up the chain. 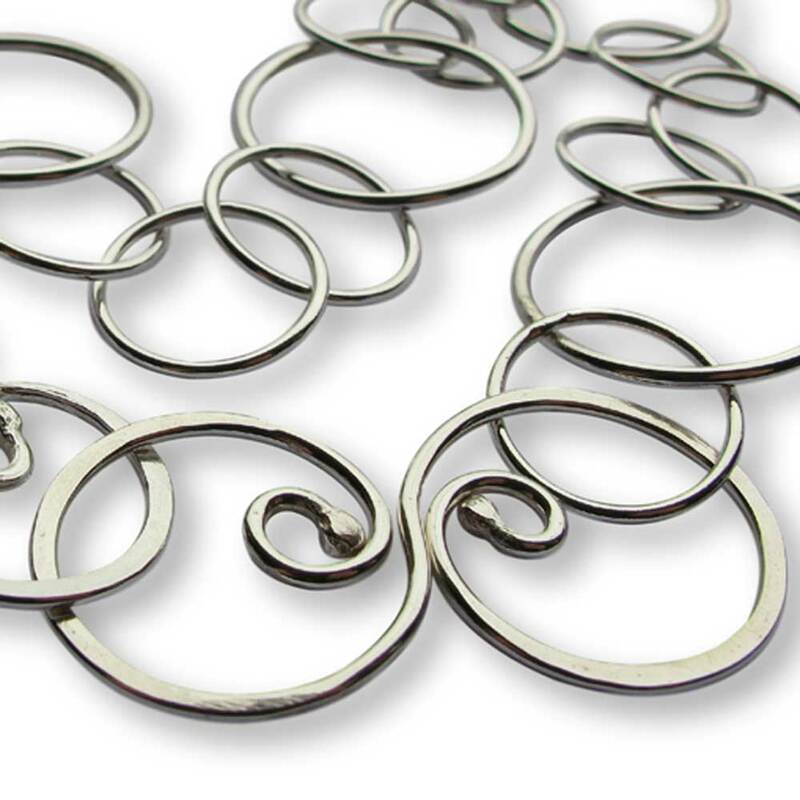 The clasps can be worn in the front as a focal point, on the side, or at the back of the neck. 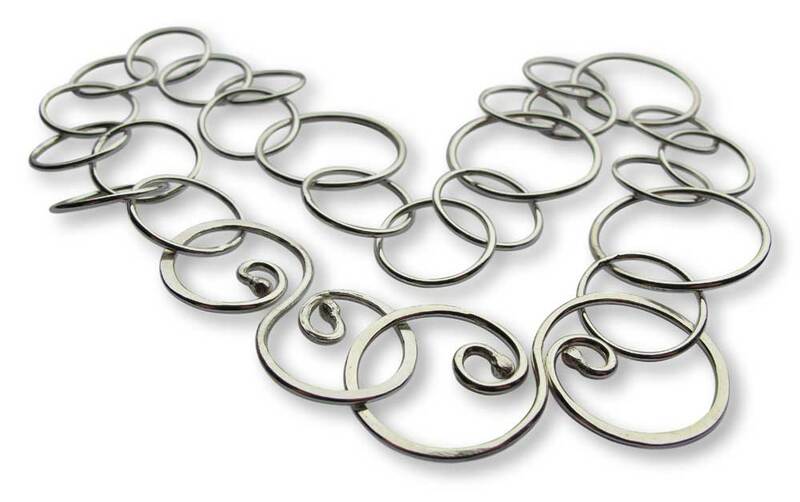 Alternatively, for a truly statement piece, attach to another piece to create layers or an extra-long necklace. 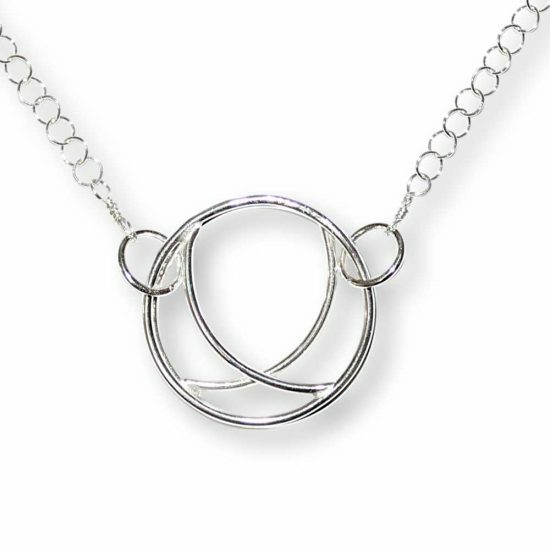 Use the two clasps to attach to another necklace to create a layered look, or an extra long necklace!